Crossed Swords Fencing Equipment offers services to troubleshoot and fix equipment and to rewire blades. Troubleshooting and Repairs charged at $40 per hour or part thereof. Rewire a blade - Currently $10 for one of our blades or $20 for a competitors blade. 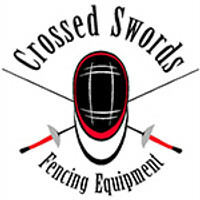 © Crossed Swords Fencing Equipment Capacity theme by Pixel Union, powered by BigCommerce.